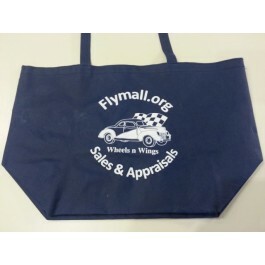 Flymall Wheels n Wings tote bag. Size: 8" x 20" x 13"
Reusable/recyclable. With a large, open main compartment for carrying your items.